This fabulous Victorian scene depicts people of the day in their finery embarking on a paddle steamer. It is possible they are making a trip to perhaps Brighton or Margate which were very popular destinations at the time. The artist has not cut corners with the exquisite detail to ensure that he has provided an accurate snapshot of the subjects enjoying their leisure time in early Victorian England. 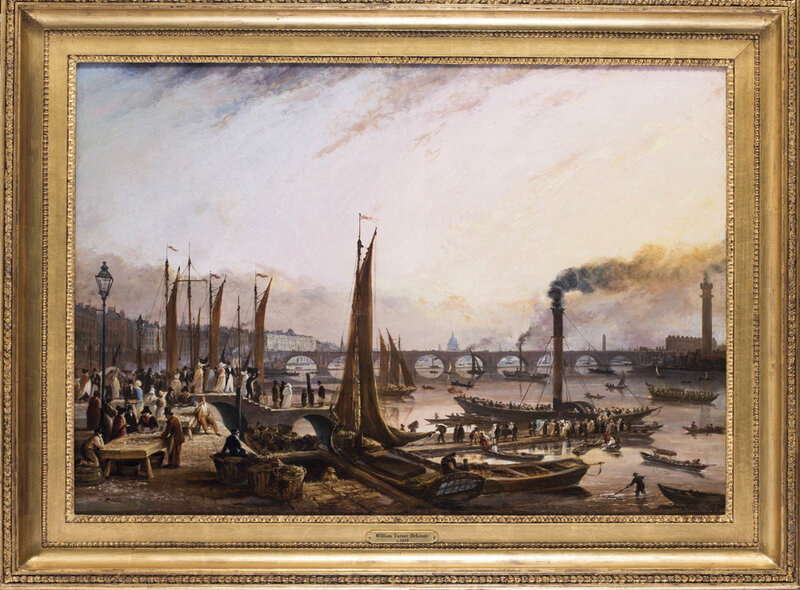 He has even included oyster sellers to the left hand side and has managed to convey a sense of movement of coaches on Waterloo Bridge beyond. The top hats of the men and the bonnets date this painting to the 1830s at possibly the beginning of Queen Victoria’s reign, if not late Georgian. It is easy to see why he is confused with the other William Turner being so highly skilled and there are elements in the pinks and oranges in the sky that would confuse many. This is one of those paintings where you don’t stand back to admire it, you are required to inspect it closely to reveal the story. William Turner de Lond, presumably so named in order to avoid confusion with William Turner of Oxford and perhaps presumptuously, with the great Joseph Mallord William Turner. Indeed when an album of Lithographs of the Great Fire of Edinburgh produced by Turner de Lond in 1824 turned up in 1906 there was a four page article written in 'The Connoisseur' arguing why they were by the 'Great Artist himself' although clearly inscribed 'W. Turner de Lond delc et fecit'. Little is known of Turner de Lond's movements although he did exhibit in Limerick in 1821, alongside this lot, some twenty-four other pictures including portraits of Napoleon Bonaparte and the Duke of Wellington, landscapes in Italy and France and 'The King's Entrance into Dublin' which was the arrival of George IV into Dublin earlier that year which now hangs in the National Gallery of Ireland. This important picture was also purchased at the 1821 exhibition by H.W. Russell as both pictures were lent by him again to Limerick in 1858 when they were re-exhibited. 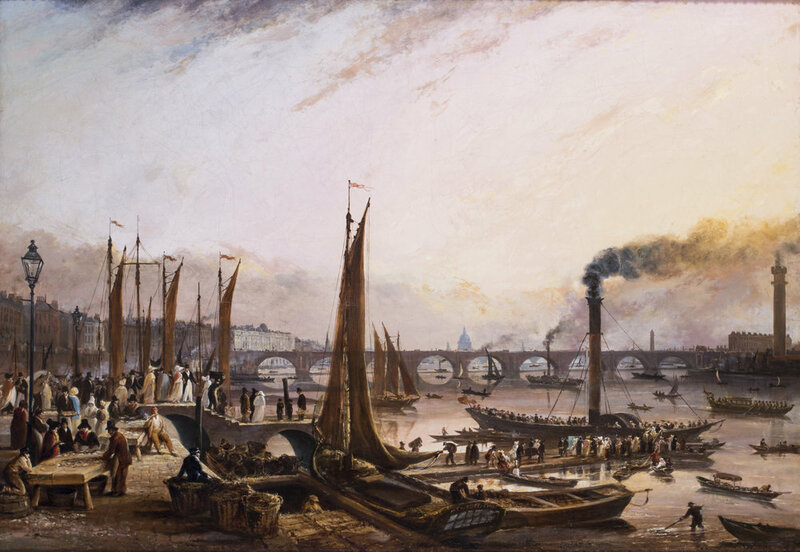 The artist then moved to Scotland where as well as recording the great fire of 1824 he also executed in lithography 'Six Views of the New Line of Road communicating between Stirling and Carlisle' as well as busy oil paintings of the arrival of long distant carriages into Edinburgh.